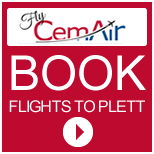 If you want to get to know what the Plett locals love, don’t forget to pack your two wheels. With great road cycling terrain, waterfront views and off-road tracks, you can create your own personal sight-seeing tour, while getting some exercise at the same time! Hop on the popular N2 route, stretching from Plett to Enrico’s Ristorante in Keurboomstrand. Along the way, you can stop for a bite to eat or a cup of java at Down to Earth, Thyme & Again, Berlin’s, The Dunes or Enrico’s. The Petrus-se-Brand mountain bike trail is a one-way trail that can be done from either the Diepwalle Forest Station or Garden of Eden between Knysna and Plett on the N2. The Harkerville Forest MTB and the Cairnbrogie MTB Trail Park offer mountain bikers several off-road options for tearing it up. While it may not be as fast, getting around on two wheels is often easier than four. Whether you bring your own, or rent once you arrive, cruising around Plett on two wheels offers a whole new perspective-plus, you’ll enjoy your dessert all that much more! Plett Lagoon Villa 021 418 0966 reception@countrysa.co.za With Harkerville trails so close by, we are indeed cycle friendly. 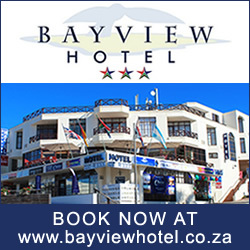 Aberni on Sea 044 533 5599 stay@aberni.co.za We are a Cycle friendly Accommodation as we have secure storage for bicycles and we do have facilities where the guests can was there bicycles. Thanda Vista 044 533 1796 info@thandavista.co.za We are “Cycling Friendly” as we have a safe ”lock-up area” and also a “washing area”. Four Fields Farm 044 534 8708 fourfields.bb@gmail.com We have safe off road parking and a place where bikes can be washed. 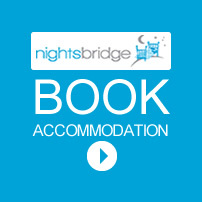 Our three self-catering units which can sleep 15 people in total all have patios where bikes can be stored under cover. 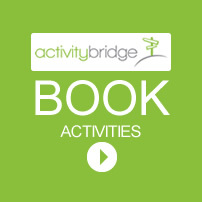 We are situated on the Route 102, 8kms from Natures Valley and 25kms from Plettenberg Bay. Sea Why 044 531 6674 tellmemore@seawhy.co.za We have safe storage for two cycles (with cycle stands) as well as washing facilities. We can also bring visitors into contact with mountain bikers who organise day rides in the beautiful surroundings of Nature’s Valley. 113 Robberg 044 533 5301 info@113robberg.co.za We have a lock up facility as well as an area to wash/clean bikes and we would welcome any cyclists wanting to stay here. 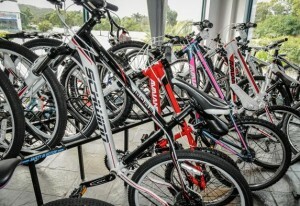 Cornerway House 044 533 3190 info@cornerwayhouse.co.za We are cycle friendly! Have big area on property behind electric gate for trailers and bicycles and a washing off area. Keurbooms Lagoon Caravan Park 044 533 2567 info@keurboomslagoon.co.za We are certainly bicycle friendly and have 1000’s here each year. However the campers are responsible for locking their own bikes. We have lots of place for washing bikes. Protea Wilds Retreat 044 532 7665 bookings@proteawildsretreat.co.za High pressure hose at wash point. No need to lock bikes up here, as we are alone on a very safe farm, no through roads or any people besides us and guests staying on the farm. If guests want to lock their bikes up, I have a lock up garage on the property as well. 28 Riverclub Villas 044 533 2632 pc16@mweb.co.za 28 Riverclub Villas is cycle friendly, with a lock up garage for bikes and outside tap for cleaning dirty bikes. Coral Tree Cottages 044 532 7822 info@coraltreecottages.co.za We are busy developing our own trail on our 24 hectare property. We have safe storage for bicycles and a wash area. Acadia B&B 044 533 5769 info@acadiaguesthouse.co.za We are in Plettenberg Bay within easy reach of all restaurants. We can store the cycles in a locked garage,clean them with a pressure cleaner and cyclists can wash down in our yard out of sight of the street and place their gear in our sunny garden to dry. 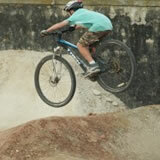 The Nook 044 533 4743 shcrutchley@gmail.com Has a storage shed for bicycles as well as an area for washing bikes. T’Niqua Stable Inn 044 533 4830 bettinameyer12@gmail.com We are cycle friendly and have MTB routes at our door step and Cairnbrogie trail is very close to us. 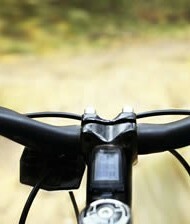 Giraffe View 044 535 0085 giraffeview@tiscali.co.za Our place is a heaven for MTB enthusiasts. 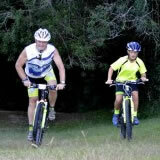 We have awesome trails on the reserve, the Dr Evil Classic and Tour de Plett both use trails here. 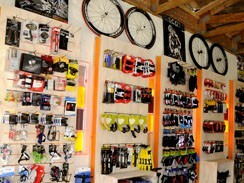 Yes we have safe storage and cleaning for the bikes. The Whaling Station 044 533 6074 info@thewhalingstation.co.za The Whaling Station is secure within the Goose Valley/Turtle Creek Estate. Tharfield Estate 081 785 6143 gerhardroux.tharfield@gmail.com We have a store rooms that locks up,a washing area for the biks and gear and can clean dirty cycling gear and clothing. 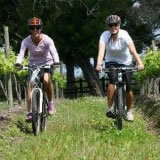 We can accommodate groups of up to 50 cyclists and a re situated in an erea where there is numerous cycling trails. CC8 Goose Valley Apartment 082 444 2725 gailhelyar@global.co.za We are a cycling friendly apartment with safe security for bikes and wash up areas. Backpackers Beach House 044 533 0437 info@backpackersbeachhouse.co.za We offer a cleaning and storage facility at the back of our premises – out of sight. They are able to chain cycles to our gate at back of premises too. We have beams all over our premises and someone on sight 24/7. We also offer laundry service on our premises, for those who request it. accommodation.co.za We have store room where bikes can safely be locked up overnight as well as a spot in our parking area where bikes can be hosed off.